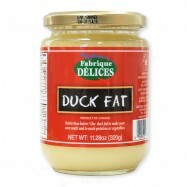 Buy French nut and seed oils online from Levillage.com! Nut & seed oils are an alternative to extra virgin olive oils and are becoming increasingly popular thanks to their good sources of vitamin E and omega-3 fatty acids. Levillage.com’s selection of nut & seed oils includes French hazelnut and walnut oils. The superb quality of these oils makes them perfect for salad dressings. A drizzle will also elegantly flavor vegetables and cheese. Since 1997 these finest and healthiest French nut and seed oils can be delivered at your doorsteps within 24 hours.